Yees, you read right. Great British Beers, REAL ALE from Cornwall ! 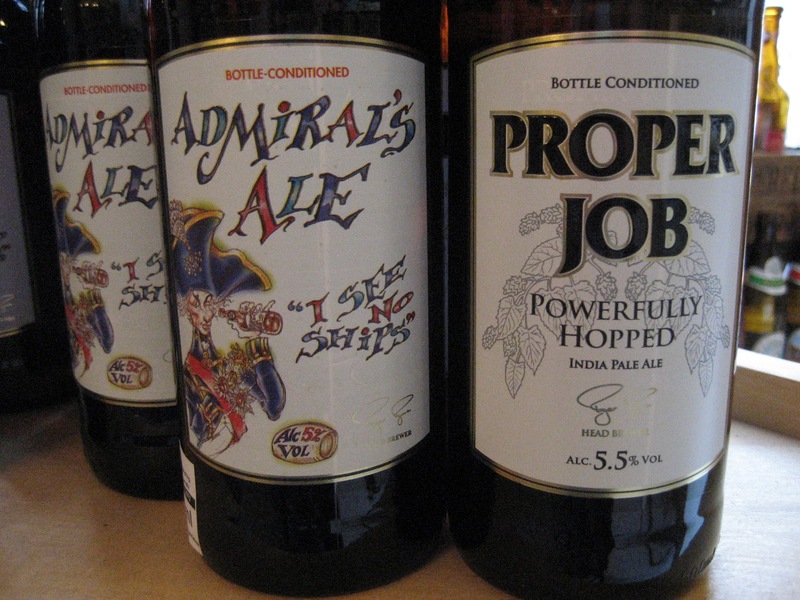 Proper Job - India Pale Ale - powerfully hopped with American Hops - best bottle conditioned beer at the Great British Beer Festival 2011. Admiral´s Ale - Premium Bitter - best bottle conditioned beer at the Great British Beer Festival (GBBF 2010). Smugglers Vintage Ale - Special Cuvée with Barley Wine, aged in oak Whisky barrels - then, again, bottle fermented. That´s REAL ALE, CAMRA says. More Beer from Scotland !